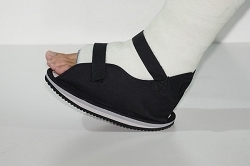 Medical journals have show that the short leg walking cast heals the patient faster and provides for more patient compliance than does a removable Cam Walker medical boot. In addition, a fiberglass walking cast can be made into a waterproof cast, where as a medical cam walker fracture boot is not waterproof. If you need a full case order a quantity of 12 and receive a discount. There is no discount for mix and match. You must order a full 12 if a single item. #1. Cushioned Tread heel - Provides the most tread possible in a walking cast heel. Giving maximum grip needed for the active patient. #2. Pedestal heel - Provides tread similar to that of a tennis shoe. Its ideal shape provides a natural rocker bottom. #3. Adult heel - Our lowest profile walking cast heel keeps your cast lower to the ground eliminating hip displacement from the other foot. #4. 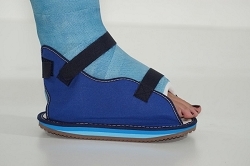 Child heel - Ideal solution for the younger patient. Top Reasons a Short Leg Fiberglass Walking Cast with a heel is better than the cam walker fracture boot (A.K.A. moon boot). 1. 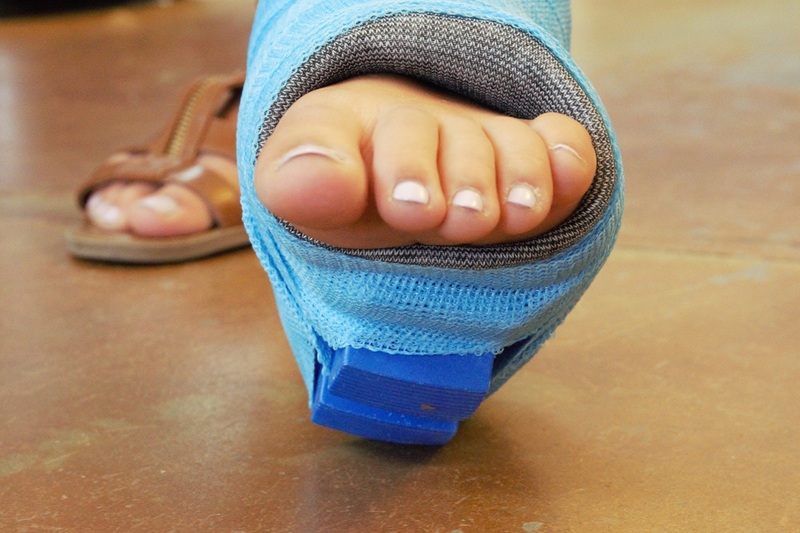 The fiberglass walking cast is custom fit to your foot, so it protects you better. The walking CAM walker boot tend to fit a shoe range over 3 sizes. (one size does not fit all). So the fracture boot ends up either being too big or too small. There is not perfect fit with a boot. But a fiberglass walking cast is custom made to your foot. 2. 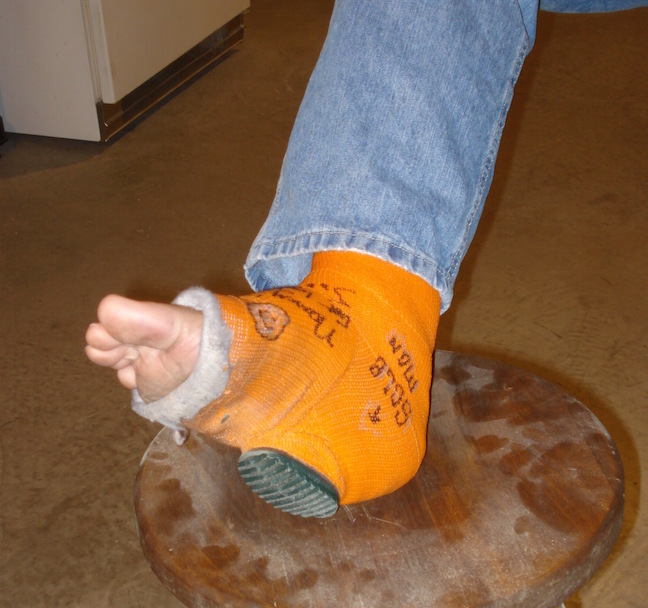 The fiberglass walking cast can be made with waterproof cast materials. The CAM boot gets wet and soaked and is then ruined. The liner to the boot absorbs sweat and begins to stink. A waterproof walking cast can be worn in the shower or bath allowing you to keep is sanitary and germ free. 3. Doctors tell you to remove the CAM walker boot to swim, shower, bathe, or wash the car. You then risk re-injury of the broken limb due to not protecting the limb. In addition, most patients remove the boot to sleep in. This is a high risk situation should they need to get up in a hurry. The limb is now unprotected and re-injury can occur. 4. 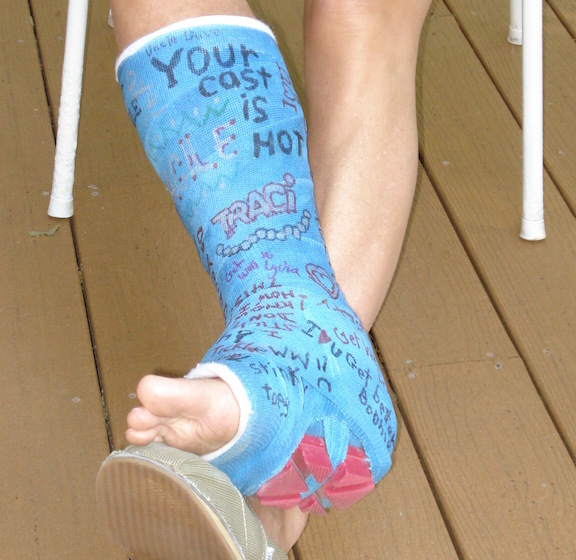 The fiberglass walking cast can be decorated with colors and signed by your friends. It's a proven fact that decorating your cast or having others sign your cast leads to better mental well being during patient recovery. Improved moods and mental outlook speed healing. You can't do that with a clunky boot. 5. Better patient compliance. Patients end up removing their boots causing future problems or slow recovery times. Most people just don't listen. If the cast can be easily removed when YOU want to remove it, you really risk the bone not healing correctly. Time and time again this has been proven as a major issue with cam walker fracture boots. Remain compliant by wearing your cast till the doctor says your healed. 6. You can use a shower cover with the fiberglass walking cast. They fit over the fiberglass walking cast. The CAM boot is too big at the base, no shower cover is made for the boot. Nor can one be made due to it's bulky base. Yes, you do have a choice. 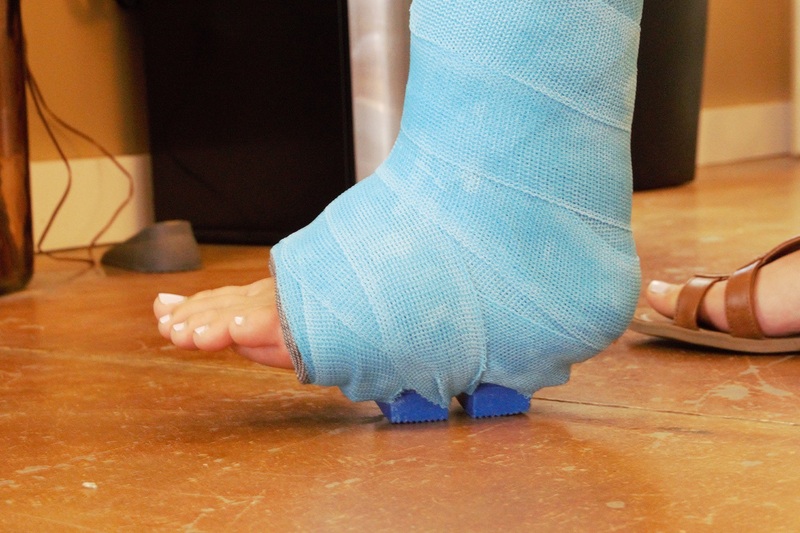 Give the BOOT to the boot and ask for a traditional fiberglass walking cast. Great stuff! 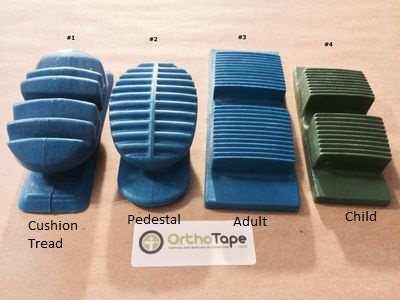 Always like ordering from orthotape, keep up the good work!